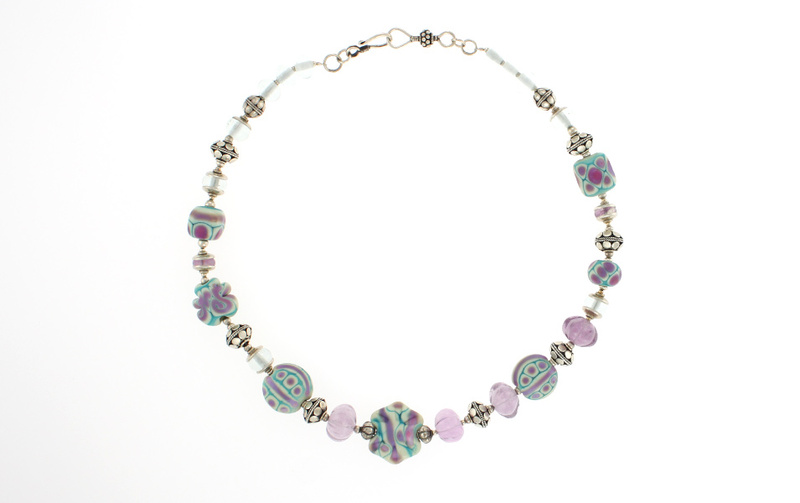 Fran Lizardi used soft aqua and lavender shades when she made the whimsical beads used in the necklace. If you love subtlety, you’ll find this a must for your collection. It includes great Bali sterling beads and clasp; Length is 17.75 inches.